Compelling reasons to visit the Kimberley with PONANT, world leader of luxury expedition cruising. Explore one of the oldest of regions on earth aboard one of the newest of ships. 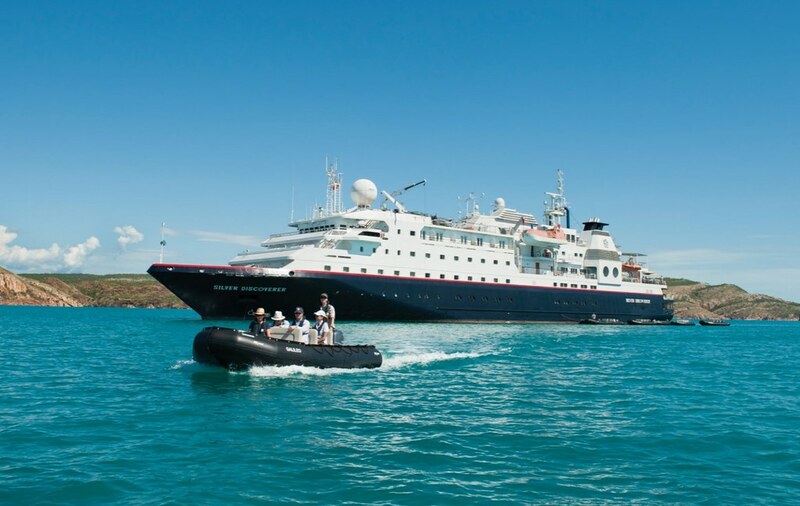 Act quickly to secure one of the final staterooms available on a PONANT Kimberley voyage and enjoy an immersive expedition from onboard Le Lapérouse - the youngest and most environmentally sustainable vessel in the Kimberley. Cruise Express has an exclusive allocation of cabins on two luxury Kimberley cruises in 2018 that offer savings of up to $7800 per couple compared to original, full fares. And bookings made by October 31, 2017, will also receive a bonus helicopter flight over the spectacular, natural phenomenon of the Horizontal Falls at Talbot Bay. The two 10-night sailings are aboard Ponant’s five-star, French mega-yacht, L’Austral, between Brome and Darwin in July and August, 2018. The chic 264-guest L’Austral will sail from Broome to Darwin on July 29, 2018, while the southbound voyage from Darwin to Broome sails on August 8, 2018. Twice the size of Victoria, the vast and pristine Kimberley wilderness boasts magnificent waterfalls, remote coves, indigenous rock art, abundant wildlife and majestic coastal cliffs that glow red at sunset. 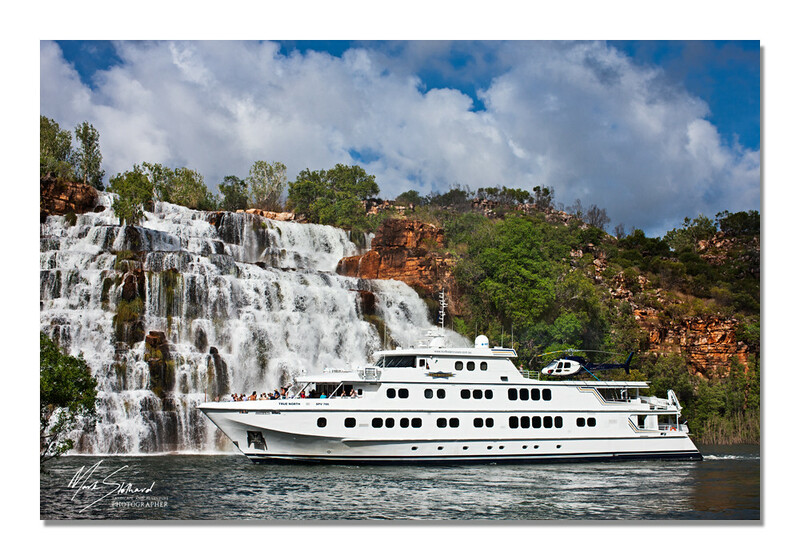 Coastal cruises offer the best way to experience the Kimberley, with L’Austral taking guests to the majestic King George Falls, Mitchell Falls and Montgomery Reef. The itinerary also features the world-famous Horizontal Falls where seawater thunders horizontally at high tide through a narrow break in the cliffs, forming huge rapids – a phenomenon described by David Attenborough as one of the greatest wonders of the natural world. Each cruise includes complimentary expeditions ashore and onboard drinks, including a free minibar in every stateroom. A specialist expedition team aboard L’Austral including experts in history, botany, marine biology and photography, will offer lectures and guided shore trips during the cruise. The luxurious L’Austral features two restaurants, three bars, a pool, theatre and library and is renowned for her gourmet cuisine, personalised service and intimate ambience. Cruise Express has an exclusive allotment of cabins at discounted rates on each of the 10-night sailings. Fares for the sailing from Darwin to Broome on August 8, 2018, start at $8590 per person, twin-share – a saving of $3700 on the original, full fare. And the voyage from Broome to Darwin on July 29, 2018, is priced from $8990 per person, twin-share – a saving of $3900 on the original, full fare. Each person booking by October 31, 2017, will also receive a complimentary helicopter flight over Horizontal Falls and the surrounding ranges. Fares include a full beverage package, gratuities and five zodiac excursions. Connecting flights are additional. Fares are available until sold out and conditions apply. The Kimberley is one of the last unspoiled regions with one of the most spectacular coastlines on the planet. 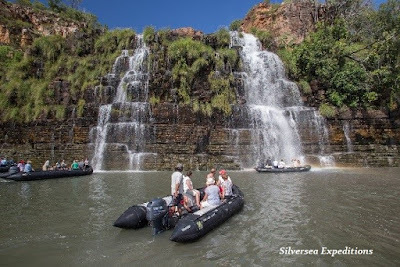 With staggering waterfalls, rugged gorges, savannah woodlands, calm waters and desolate mountain ranges, the wild lands of the Kimberley offer the promise of an exceptional adventure. Sailing on Ponant's L'Austral you'll encounter a chic and elegant yacht-like ambience, refined, personalised service, gastronomic cuisine and unique adventures ashore. 10 night expeditions sail from either Darwin or Broome and get you up close to the action like no other expedition. And for a limited time we have suites available for Ponant's 2018 Kimberley season with massive fare savings up to 30% or $2990.00 per person!